Spider-Man & His Amazing Друзья. 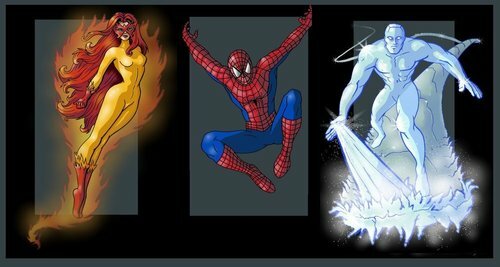 Firestar, Spider-Man & Iceman. HD Wallpaper and background images in the Spider-Man club tagged: spider-man spiderman marvel firestar iceman retro 80's cartoons chicken pop pod cpp.